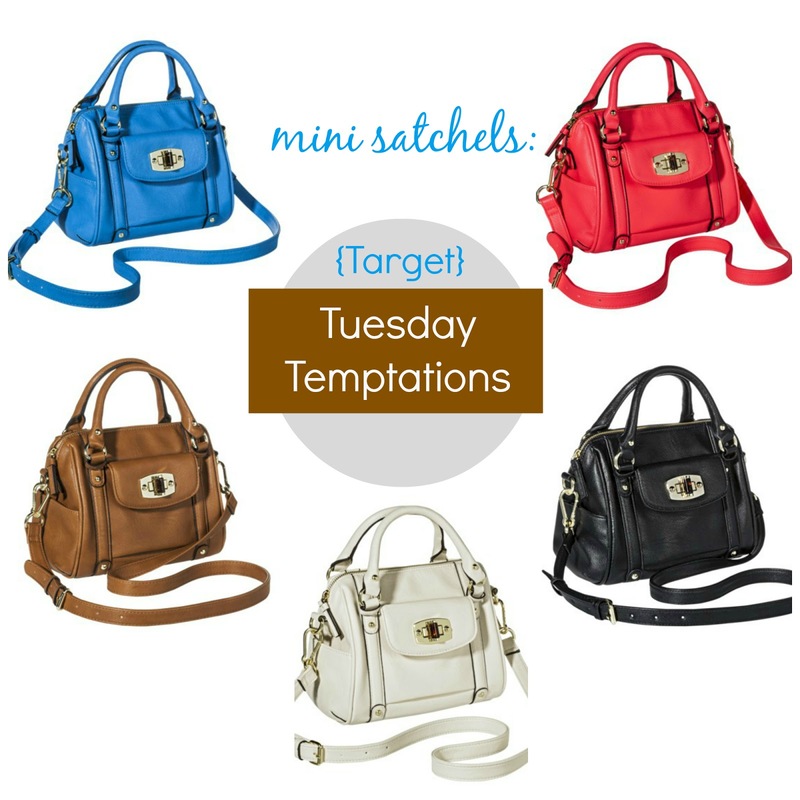 I don't usually spotlight just one item, but last week when I saw these adorable new mini satchels from Target, I knew I had to share them with my fashionistas since they are finally available online! 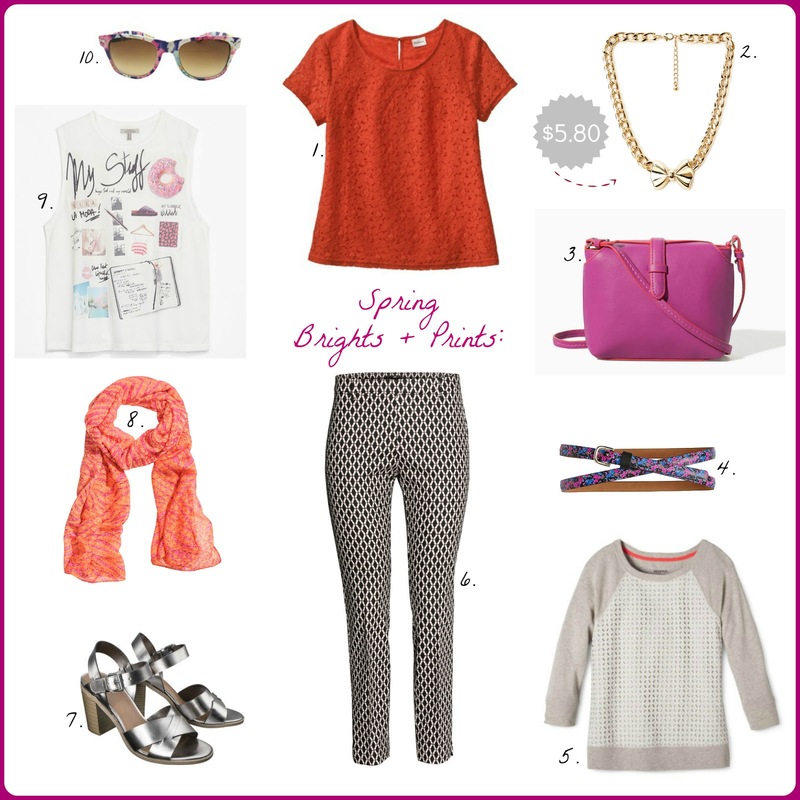 All the colors are so tempting with colors ranging from classic to pops of neon brights. Personally, I have so many hangbags, I probably shouldn't be buying any of them...and yet they are already in my online shopping cart. In person, they are even cuter (is that possible?) sitting next to or below their larger versions. While they aren't on sale yet, you may not want to wait too long to pick one (or five) up. See how adorable the mini bags are on the bottom with the larger bags on top?! As usual, I made my way into several stores this weekend and always have a hard time remembering narrowing down my favorites. Sometimes though, what I see in stores is not yet available online, so I am forced to check the website daily for the new arrivals, le sigh. 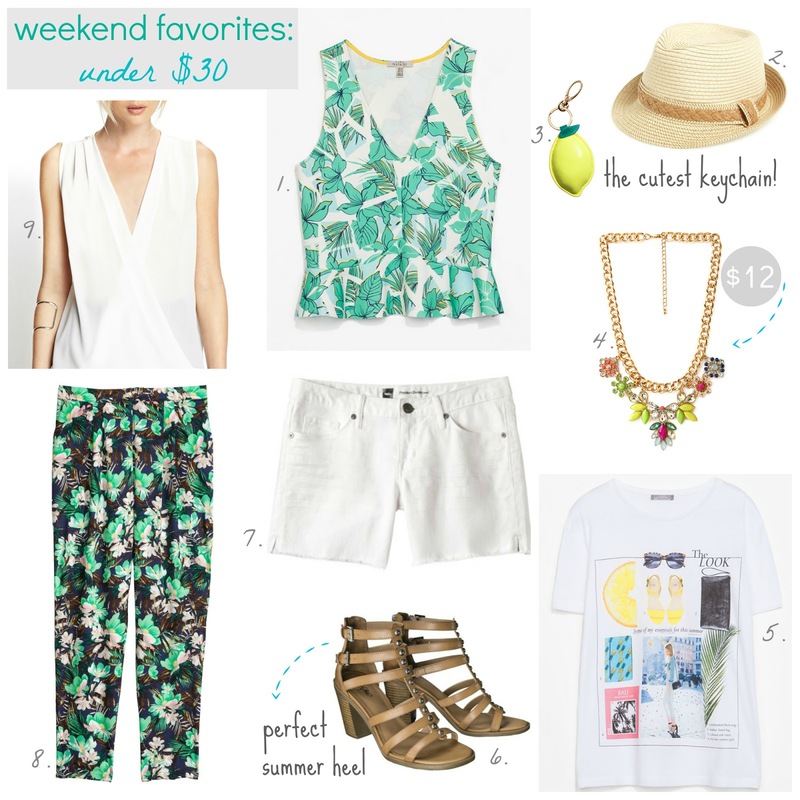 Spring fashion is in full swing right now and tropical prints and lemons are adorning the latest favorites this week. 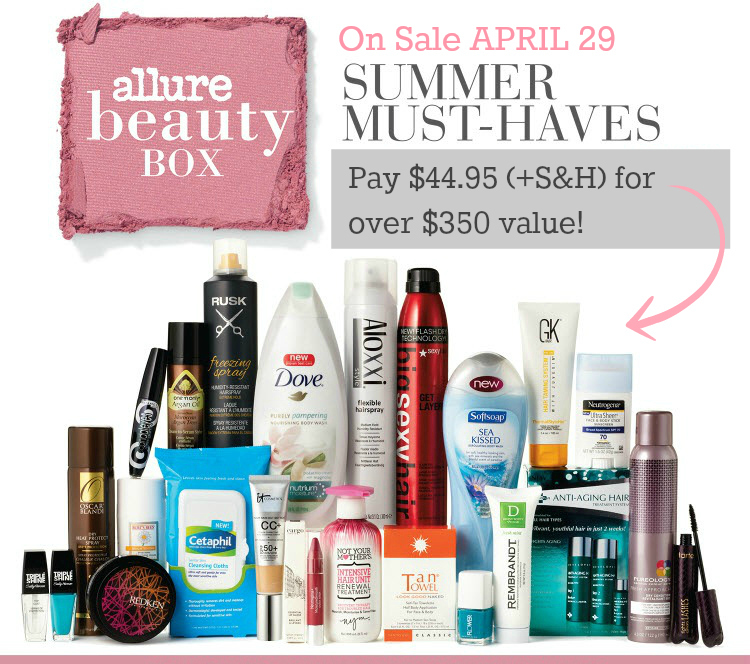 The Allure Summer Beauty Box goes on sale April 29th at 12:01pm (EST) and includes all full-size products for $44.95 (plus S&H) valued at over $350! If you are new to this limited edition box, this will sell out in minutes, so be on your computer ready to purchase at the exact time it becomes available. Go to http://www.allureaccess.com/summer to order yours on April 29th, when the link becomes "live". I ordered the Fall box last year and was very happy with my purchase. It's a great way to try new products and stock up on some favorites. This looks like a more hair focused beauty box, so I probably won't be getting one this time around. Celeb Style Notebook: Emmy Rossum wearing Peter Som for Kohls! Actress Emmy Rossum is becoming quite the fashionista (she was the previous celeb look on my blog) and this week she was spotted wearing the latest designer collaboration from Peter Som for Kohls. It's probably no secret if you read my blog that I looove stripes and this is actually one of my purchases I ordered from his collection. While she looks cute pairing her top with black shorts, I plan on wearing mine with boyfriend jeans or these distressed denim shorts from Target I just ordered. Either way, it's a chic way to wear a few basics. How would you style the striped top? 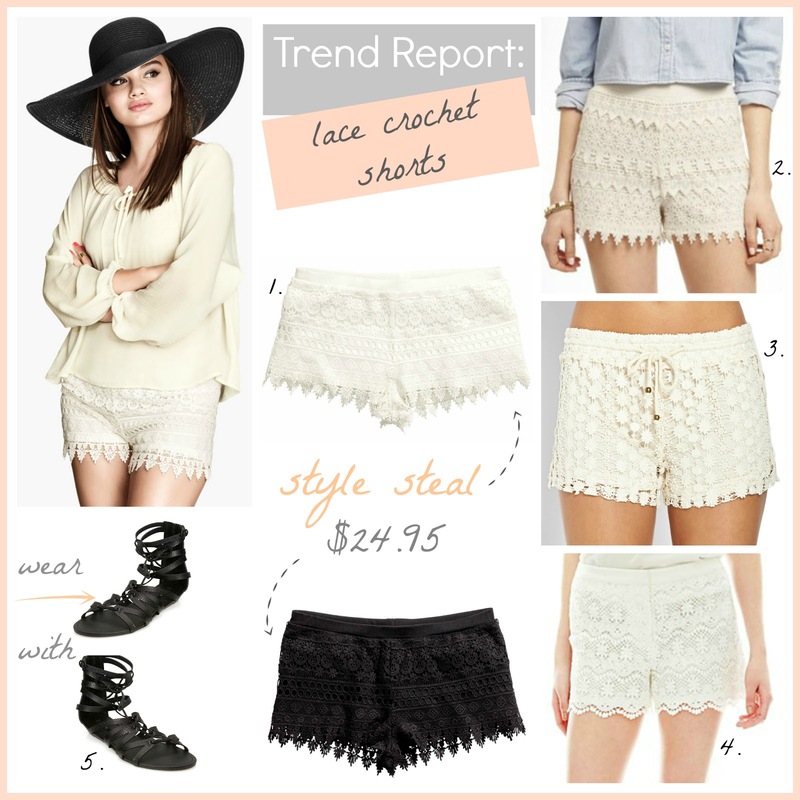 This season, lace crochet shorts can be found at almost every store right now and they are selling out fast! Ever since I posted a pic of Target's version on my Instagram page and it sold out online (and difficult to track down in stores), people are still asking me if I have seen them or anything similar. While I usually like to keep a trend piece under $30 (or less if possible), I made an exception only because this is such a hot item and I don't want anything to sell out before you have a chance to pick up a pair. Another bonus is that the two shorts that are around $40 are brands that always go on sale. I've also included other lace shorts I loved but cannot grab a decent online photo of them, sad face. Will you be buying a pair? 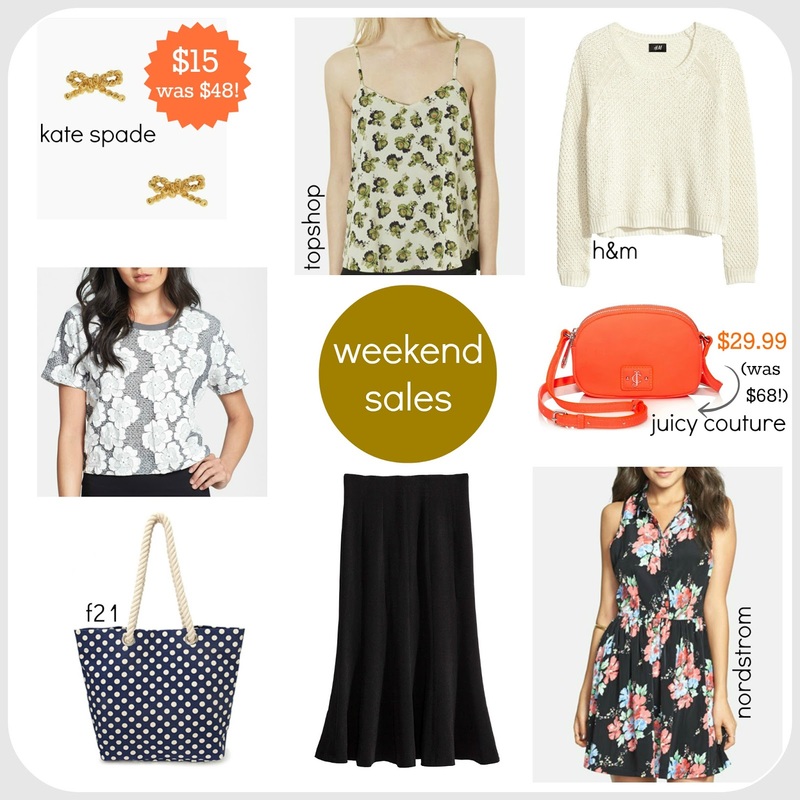 This weekend is turning out to be a huge weekend for major sales! While Easter doesn't traditionally bring in these discounts, I'm not complaining. 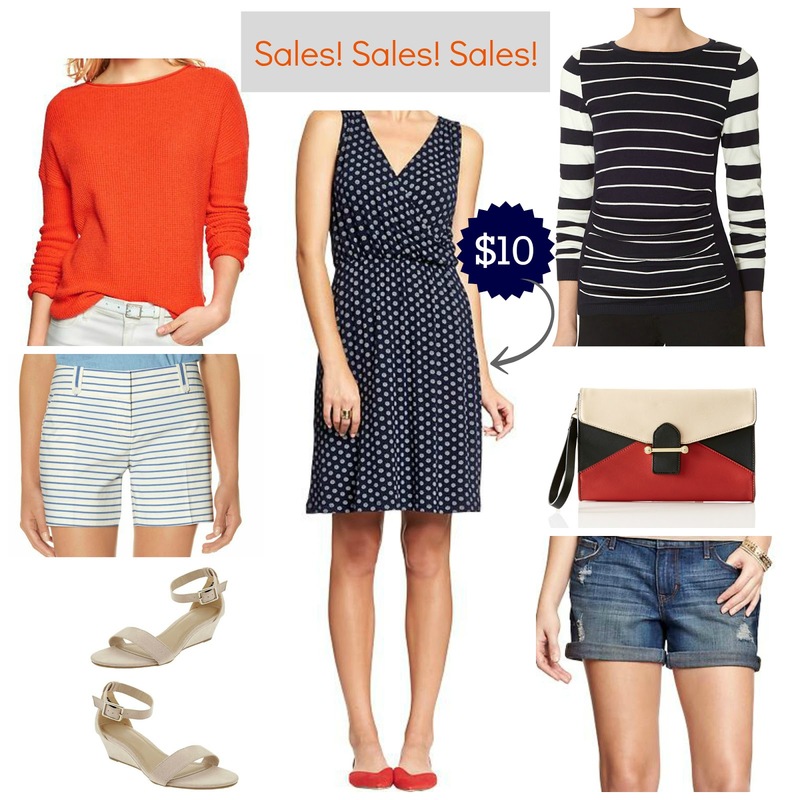 I chose a few of my favorite nautical inspired items and I am in love with those striped shorts, they are the cutest. While I wasn't able to include Express in my picks (technical issues on their site), the handbags are very high quality...I had to hold myself back from not ordering every bag. Tax day is here and so are the deals! Now is the perfect time to pick up a few items on your spring wish list with extra discounts and new markdowns. I can't seem to stop collecting French statement tees from J.Crew...or anywhere else I find them. I am still loving this gorgeous citron shade of yellow-green, pair it with denim or blue to really make it pop. Oh, and that cute little on-trend bucket bag is too cute, and after passing by it multiple times at regular price, I might finally add it to my shopping cart. 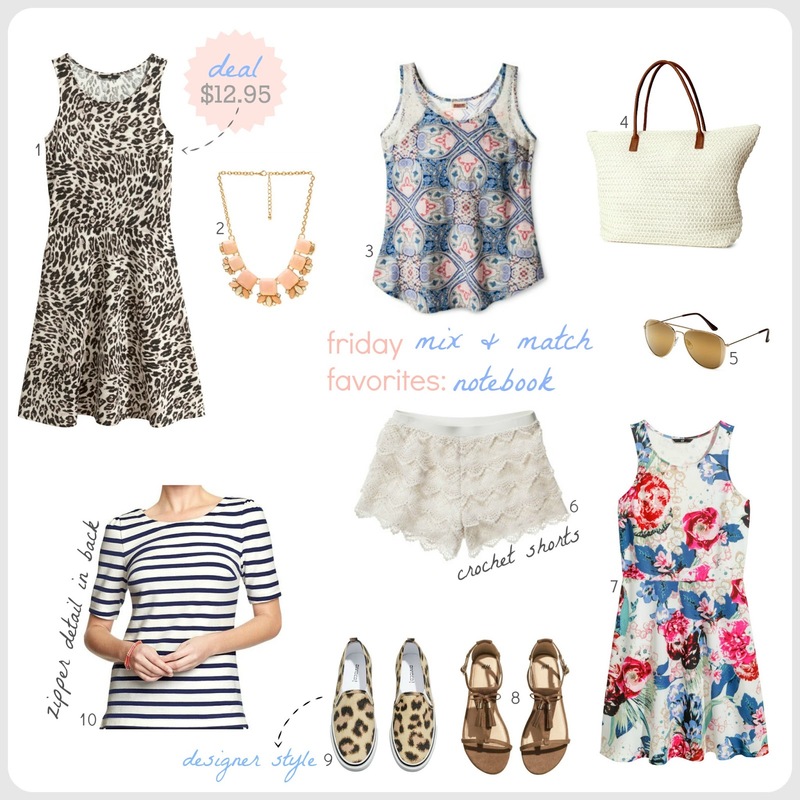 Happy Friday Fashionistas! Since I moved into my new place, I find myself easily distracted and unable to completely unpack every single box because I am literally just a few minutes from the mall and my favorite stores. Is it a good idea for a self-proclaimed shopaholic to move to the mall? Well, only time (and credit card bills) will tell. This move will benefit my lovely readers the most, once I get back to blogging on a more regular basis I will be able to share even more deals, sales, and new designer launches. This week some of my favorites were at H&M and everything is under $25! The jersey dress is so nice I had to share it twice (it's also available in 5 others patterns/colors). Designer Peter Som's Collection for Kohls arrived online today with the collection hitting the stores this Thursday. Said to be "Inspired by the laid-back luxury of St.Barth's"...well, sign me up! I am excited to see these beautiful and very wearable pieces in person, but I won't be at a store until the weekend so for now, I'll be making my wish list. 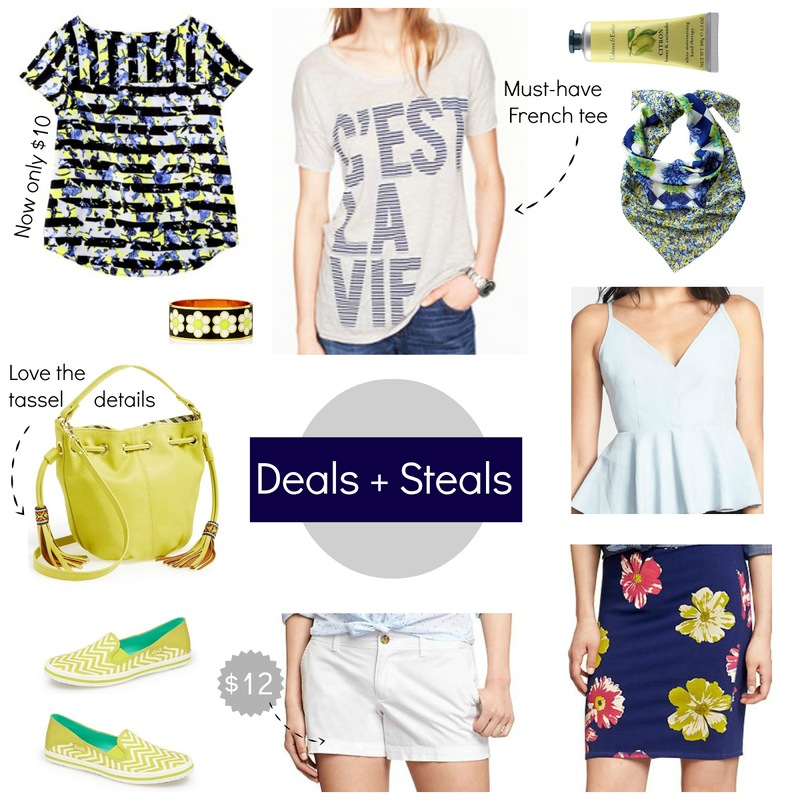 Prices start at $38 for the pineapple t-shirt (so fun!) and go up to $78. Keep in mind that all items will go on sale plus the Kohl's additional 15% or more discount. All of the previous DesigNation collabs have made it all the way to the clearance racks. Depending on the sale prices in the next few days, I may pick up my favorite must-have items like the J'adorable tee and maybe a stripe dress. As for the rest of the collection, I'll be holding out a while longer for clearance prices, although from the pictures, it looks like some of these cute items won't be around for long! Since I am still continuing to organize and settle into my new place (no easy task! ), most of my shopping trips have been to Target while also managing to squeeze in a few minutes at some of my favorite stores. I am loving all the bright pinks and oranges right now, partially influenced by the color of the year, radiant orchid that is popping up everywhere. I am looking forward to mixing up some of my stripes with a floral scarf or flat for a fresh look.